Patient Speculation: How Easily Is Your Betting Influenced By Others? How Easily Is Your Betting Influenced By Others? 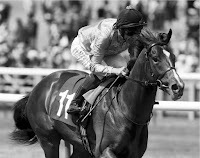 If you are interested in the Psychological aspects of gambling (which I believe all serious speculators should be) you may be interested in a very insightful post on the High Class Equine blog call I followed that horse over a cliff. Basically the author describes how we are all subject to social influence, whether we think we are or not, he goes on to give examples which give some idea of how even small influences can create big changes in our behaviour. The psychology of speculating (gambling, trading, investing, call it what you will ) is one of the main themes I will explore on this blog because I believe that to be a successful speculator you will need to understand and control your emotions. Finally if you want to see just how powerful social influence can be here is a youtube clip of a famous (and highly amusing) psychological experiment called the Asch Experiment. Thanks for your support in highlighting the post. I will try and write a new article relating to gambling psychology next week. Enjoying your blog. Keep up the good work.